Iawn everyone! We’re back with another jam packed Phormula update, been crazy since the last update! was the first time Wales had representation at the prestigious event. You can now catch Phorm’s looping performance in full HERE or by click the image, enjoy and share! Parch!! 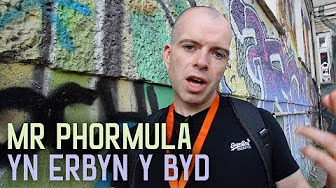 Secondly, continuing on the theme of the World Beatbox Championships, Mr Phormula was also approached by Welsh language digital platform and media channel Hansh / Ochr 1 in order to document and film the whole process. The mini doc has now been completed, uploaded and ready for you to feast your eyes on by click HERE or clicking the image. 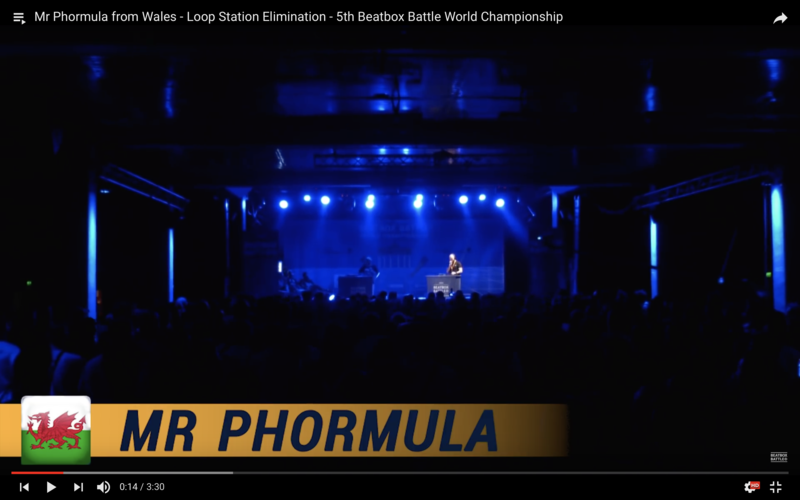 Last but not least, Mr Phormula recently competed at the annual Welsh Beatbox Championships, which is always a flagship event of the year, big props to Hann the organiser for always putting on a great event. As always, Phormula entered into the looping category, the standard was incredible not only in the looping category but in the entire event. 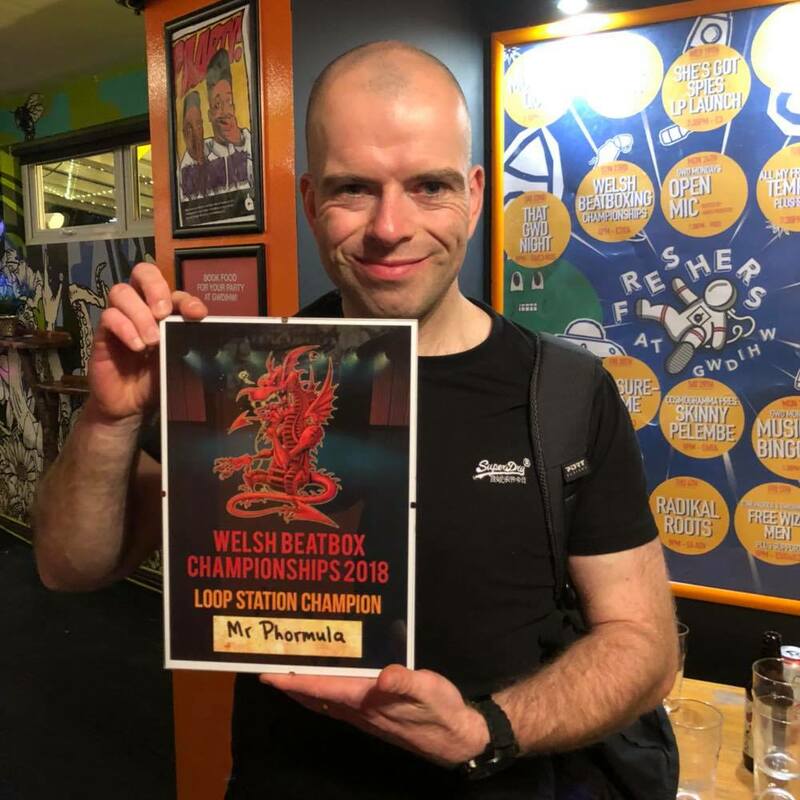 We’re proud to announce that Phormula took the title of Welsh Looping Champion 2018, an amazing achievement in itself, but not only that, in the process of winning he’s also the first welsh competitor to be a “2X” champion, which is a great addition to Phormula’s status. Massive shoutouts also go out to long time beatbox associate and close friend Kalim Beatbox Tangent for also taking the Welsh Looping Vice title, mad skills as always. The welsh scene keeps getting bigger and bigger, amazing to see so many artists developing each year. For the first time this year we also had an under 18’s category – the standard was unbelievable – Massive bigups to Dari for taking the under 18’s title and being the first to do it. The standard of the solo category was also unreal. Big respect to Beatbox Scythe for winning the solo category and Akam for taking the vice title, that was one of the most amazing finals we’ve seen. Everyone genuinely smashed the event. This also confirms that Scythe / Mr Phormula are already through to the World Beatbox Championships in Berlin yet again in 2020 who will also be joined by next year’s winners. Exciting times ahead!